I have tried so many foundations out there. I used to love Smashbox, but I have realized there are better things out there. Make up Forever HD is my go to and I always find myself coming back to it. It gives good coverage, about medium, and lasts most of the day with a primer or BB cream underneath. It is about $42 and lasts me 6 months. 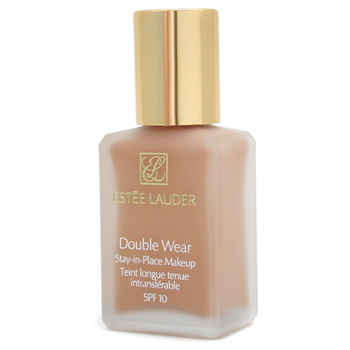 My other favorite is Este Lauder Double Wear. It is a thicker, heavy coverage and I love it for the winter, but I like something lighter and more breathable in the summer. You can not beat the coverage and how long it lasts though. Plus, a little of this stuff goes a LONG way. I have had a bottle last me nearly a year! This is the ONLY eye primer I will ever use. I love it. My eye make up lasts all day no matter what brand shadow and eye liner I use. It never creases. It is the most amazing stuff ever and I swear by it. This is also something that a little goes a long way, and I usually have a tube of this stuff last almost a year as well. The original potion is all I need. They have some other fancy ones, but this works for everything. Benefits They’re Real is my all time favorite. Makes my lashes look and feel wonderful, doesn’t smear and it isn’t something I have to “work” to look good. Let’s face it, sometimes I don’t want to spend $24 on mascara…so I have drug store go-to’s as well! I love Mabeline Colossal Volume Express and Cover Girl Lash Blast. To me they are about the same price and the same quality. If I have a coupon or one is on sale, then that is the one I go for. Concealer is something that I have a love hate relationship with. This is mainly because I haven’t found one that I LOVE and works wonders. I have horrible HORRIBLE dark circles under my eyes. I could sleep for years and they would never go away, darn genetics! Well Rested and Laura Mercier are what I am using right now. Neither is much to brag about. I will say that Well Rested “sets” my foundation for the day under my eyes and helps a little. Laura Mercier looks great when I first put it on, but it creases very badly into my fine lines and makes them not so fine. I am not ok with this. I only use it because I paid a lot for it and am too cheap to go get something else until it is gone. Tarte which is OK and would probably be awesome if my circles weren’t so dark. Primer/BB Cream: I only use one or the other not both, right now I am using BB Cream more…mainly because it is cheaper and does the same thing. While pricey, I like the application and the light feeling this has on my skin. It works pretty good. This stuff is only $8 at Target and works just as good as the expensive Smashbox photo finish. My only complaint? The light is a little too orange for me and I will have to try fair next time. With these two pallets, I have every color I could possibly want. I love how I can create a smokey eye, a natural eye, have a little shimmer or matte effect. They are certainly worth the investment, and they last a long time! Plus, Naked comes with the eye primer I was talking about. Can’t go wrong there!!! I have been using this eye liner since either high school or college. I have brown and black and love them. So easy to use, lasts all day and cheap! Plus, you can’t mess up. If you happen to not draw a perfect line you can use the smugger on the other side. Fool proof, yes please! And that is the run down on my everyday make up products that I use. I don’t pretend to be an expert, I just love make up and thought I would share! What products are you loving? I need to read posts like this because I have NO CLUE about makeup, the installation of make up, the right place to put what, etc. I’m 36, I should know these kinds of things!